At the beginning of the year, it is sometimes difficult to get a clear picture of how our students are performing in math. I know I have been fooled a time or two by test scores or class performance at the beginning of the year. I put together these one-page quick pre-assessments for math to serve two purposes: 1.) 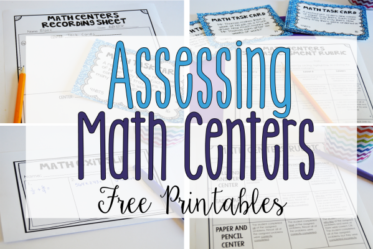 allow me to group my students effectively for math centers from the beginning of the year and 2.) provide an overall look at how my students are performing in math. 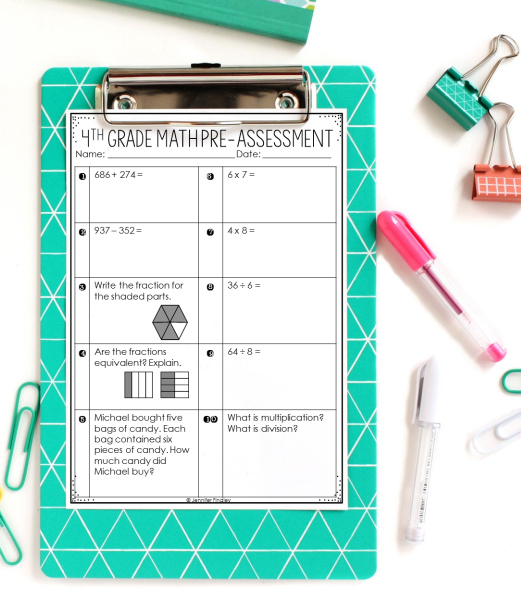 Tip: I also use these assessments when I get a new student to get an overall picture of their math performance. As I mentioned above, I use these pre-assessments to help me group my students for math centers. After giving and scoring the math quizzes, (I give a quick score out of 10 to make it easier), you can more effectively group your students. 1.) Make adjustments as needed for behavior concerns. 2.) Even out the groups as best you can. I do like to keep my groups with the lowest scores smaller, if possible. 3.) 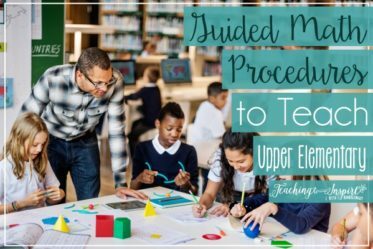 Make professional judgements on any students who scored lower because of careless mistakes or only struggled in skills that you will not teach until later on in the year. For example, if a student struggled with fractions but mastered multiplication and division, you may want to group them in a higher group then their score reflects. Click here for more information and tips for forming your math center groups. 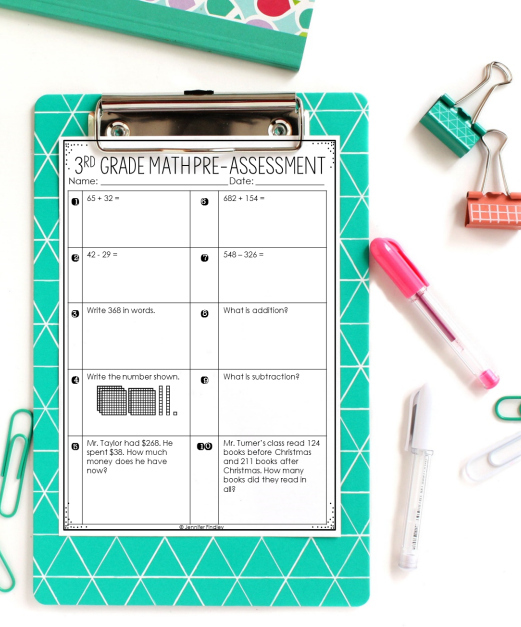 In addition to using these assessments for math center grouping, they can also give you a good picture of how your students are performing in specific skills or strategies. Keep reading to see what each math pre-assessment will show you about your students. As you can see I focused heavily on addition and subtraction since those are skills that a 3rd grader should know at the beginning of the year. As you are grading your assessments, you will want to see what strategies the students use (or don’t use) for the computation problems. For the defining addition and subtraction questions, you will be able to see if the student can 1.) write effectively about math 2.) conceptually understand addition and subtraction and 3.) use math vocabulary. For the word problem questions, you will be able to see if the student is able to understand word problems and answer them effectively (writing in complete sentences, showing work, etc). If you will be teaching advanced 3rd graders, you may want to look into giving them the 4th grade pre-assessment. For this assessment, I tried to include a sampling of the important skills in 3rd grade that are used as building blocks for 4th grade standards. You will be able to see what strategies the students use to add or subtract (place value or traditional algorithms) and if they know their basic multiplication and division facts (the ones assessed, anyway) from memory or if they use a written strategy. The two fraction problems will assess their basic understanding of fractions. Finally, you will also be able to see whether they conceptually understand multiplication and division and whether they can differentiate between what operation is needed for a word problem. The word problem will also give you a starting off point in regards to how the students answer word problems (writing in complete sentences, showing work, etc). 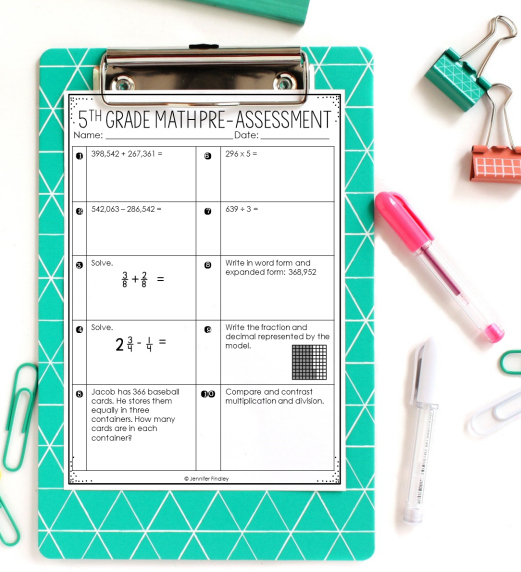 If you will be teaching advanced students, you may want o check out the 5th grade pre-assessment. If you will be teaching students who may struggle, you may want to use the 3rd grade pre-assessment. In the same manner as the 4th grade pre-assessment, I tried to include a sampling of the important skills from the grade below that are used as building blocks for the 5th grade standards. 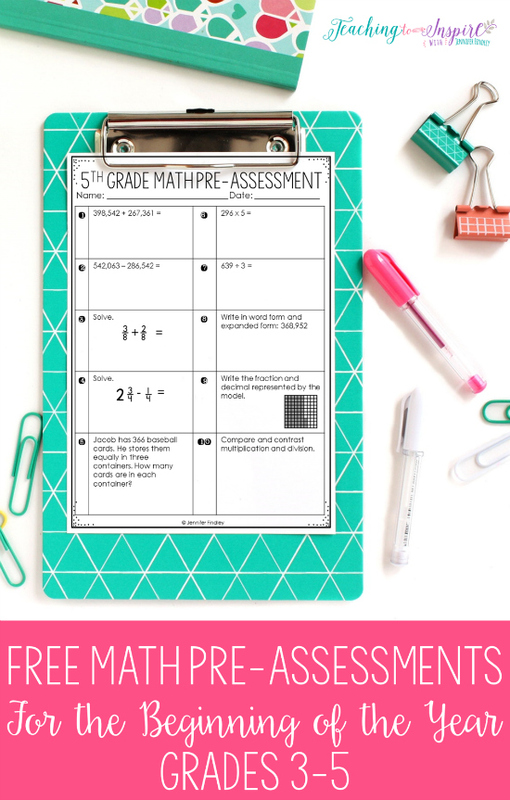 Through this assessment, you will be able to see what strategies the students use to add, subtract, multiply, and divide. You will also be able to assess their basic multiplication and division facts embedded in the advanced problems. The two fraction problems will assess their basic of fraction operations and the mixed number problem will allow you to see if they know to simplify an answer. Finally, you will also be able to see whether they conceptually understand multiplication and division enough to differentiate between the two while also seeing the relationship. I also included one word problem to allow you to see if the students can determine which operation is needed for a word problem. The word problem will also allow you to assess how the students answer word problems (writing in complete sentences, showing work, etc). If you know you will be teaching struggling students, you may want to use the 4th grade pre-assessment. Click here or on the image below to download all three pre-assessments. 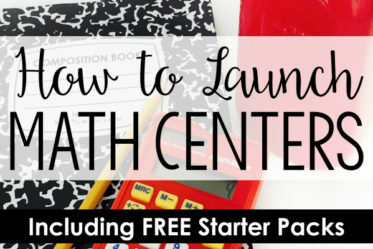 For more information about getting started with math centers, click here! Hopefully these pre-assessments will come in handy and give you valuable information on your students! Thank you! I like how it is short and sweet, but will still give me an idea of where my students are at the beginning of the year. This is an awesome idea. Thanks for sharing these resources. They are incredible. Super simple and efficient. My team and I have given this to our 4th graders (both the 3rd and 4th grade version), and we LOVE it! Thank you! We love that it is targeted, short, and helps us notice where some of the gaps are already. It is very helpful! Thank you so much for your hard work! I have loved, loved your work while teaching 5th grade math! They were a God send when I started teaching 5th grade math/science four years ago! I found out a few weeks ago that I will be moving to 3rd grade for next year and will be in a self-contained classroom. While excited for a new adventure, I’m searching out 3rd grade things that I can be just as confident in. Thank you so much. I was thinking of how I needed an easy way to group my students for the beginning of the year. Perfect timing on this.